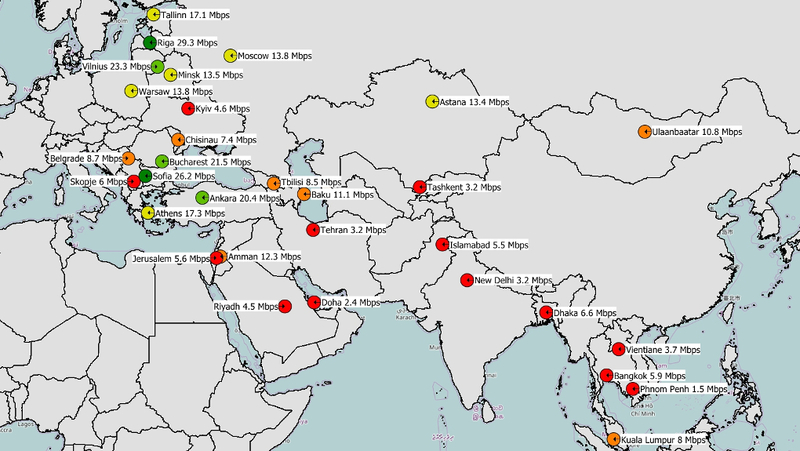 Mobile Internet Quality in Asian and East European capitals? How Mobile Operators perform in dense populated areas? Next report ahead. 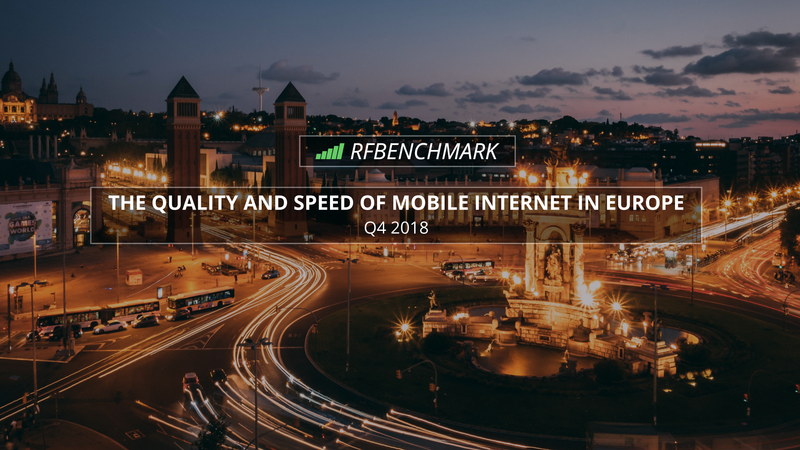 We prepared quality report based on Mobile Application – RFBENCHMARK in Asian and East European capitals during second and third quarters of 2016. Why capitals? Answer is quite simple – dense population and in theory best focus of mobile operators due to high ARPU (Average Revenue per User). Using this rule of thumb we can assume that obtained results should present best service in cities? Is it so? It will be easy to compare with average results per country in Asia in the next report, so stay tuned with RFBenchmark! European reports per county and per capital city are available now. 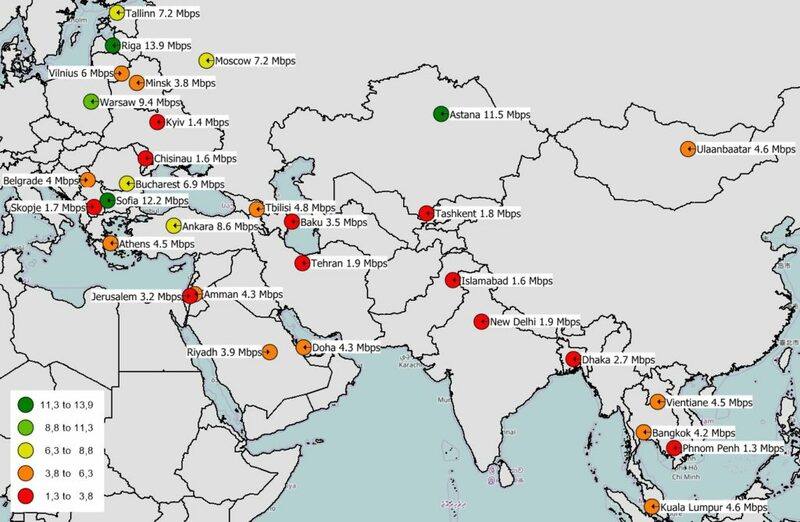 Below map presents results of Mobile Internet Quality in Asian and East European Capitals, including three most important mobile link parameters: Downlink Throughput, Uplink Throughput and Ping (Detailed Methodology Description can be found here!). Displayed results presents averaged Key Performance Indicators for all mobile technologies 2G – GSM, 3G – WCDMA and LTE (4G). Such approach allows us to observe real quality of Mobile Internet Access per capital city. East European measurements present much better than Asian. 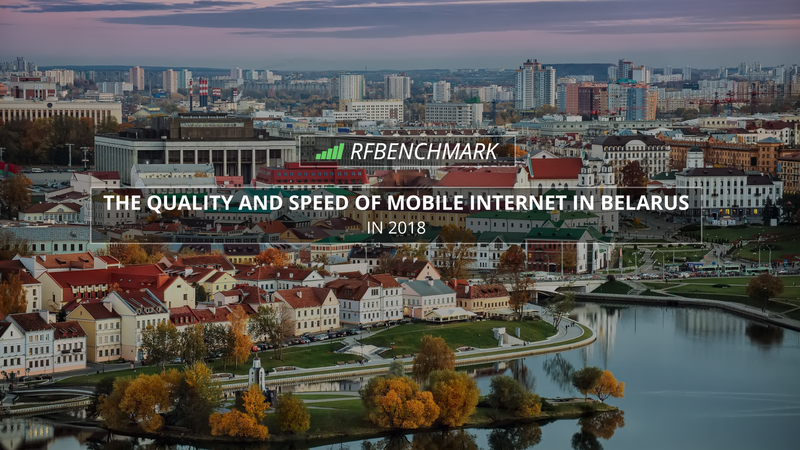 Riga, Sofia and Bucharest are taking strong lead in terms of mobile Internet download speed in East Europe. In Asian part Ankara stands out from other cities. Next are capital cities with significantly lower throughputs such Astana, Amman, Baku and Ulaanbaatar. In uplink throughput rank in East Europe leaders are Riga, Sofia and Warsaw. In Asian part Astana takes the first place. On the second one is Ankara. 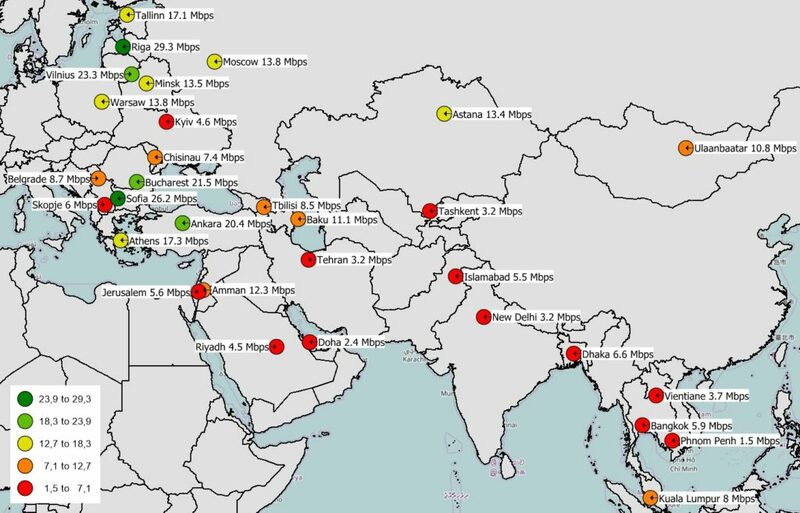 Analyzing measurements results we can conclude that in most of Asian capitals 3G technology leads. It is significantly visible during comparisons average uplink and downlink throughputs. In 3G technology upload speed is lower than download speed. In 4G technology those two key performance Internet speed parameters are on the same level, so huge difference between those two parameters in average measurements show that most measurements were performed in 3G technology. 6vie0m Thanks for the post. I will definitely comeback. Hello, what do you really feel on the subject of upvc window handles? Pretty awesome idea, huh? Howdy! This is my very first comment on your website so I simply wanted to give a fast shout out and tell you I really enjoy reading your posts. 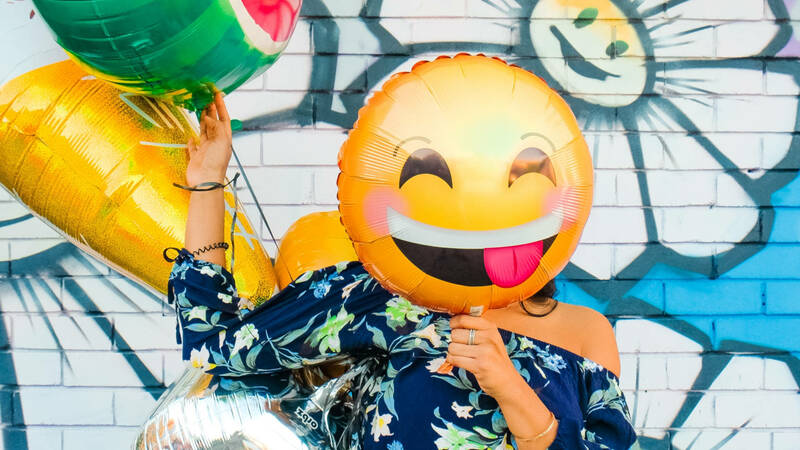 Can you recommend other blogs which go over download lucky patcher apk? I am likewise pretty fascinated by this! Thank you! Heya, you are certainly right. I always read your site content closely. 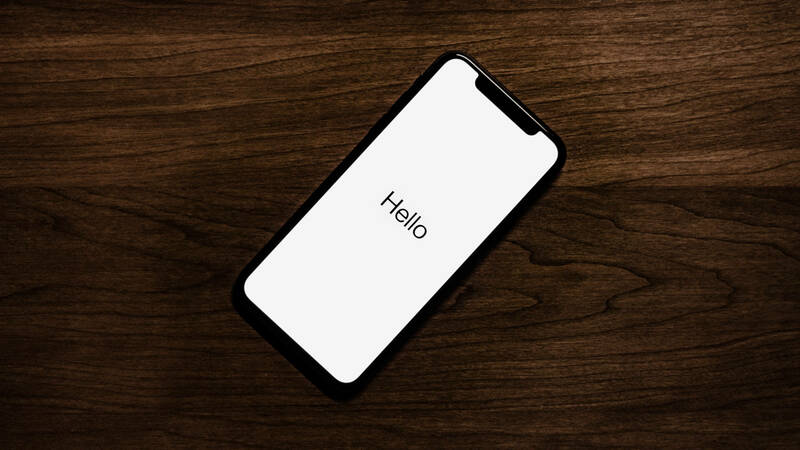 I’m furthermore fascinated with latest smartphones, perhaps you could talk about that sometimes. See you soon. Admiring the hard work you invested in this site and comprehensive material you display. It’s wonderful to find a blog from time to time that is just not the same expired re-written stuff. Wonderful read! I’ve saved your website and I’m adding your RSS feeds to my how to access router web page. I’m really interested to learn which site system you have been utilizing? I’m having a few small safety challenges with my latest blog regarding garageband for pc and I would like to find something far more risk-free. Do you have any alternatives?